Great Church of Kiev Pechersk Lavra. 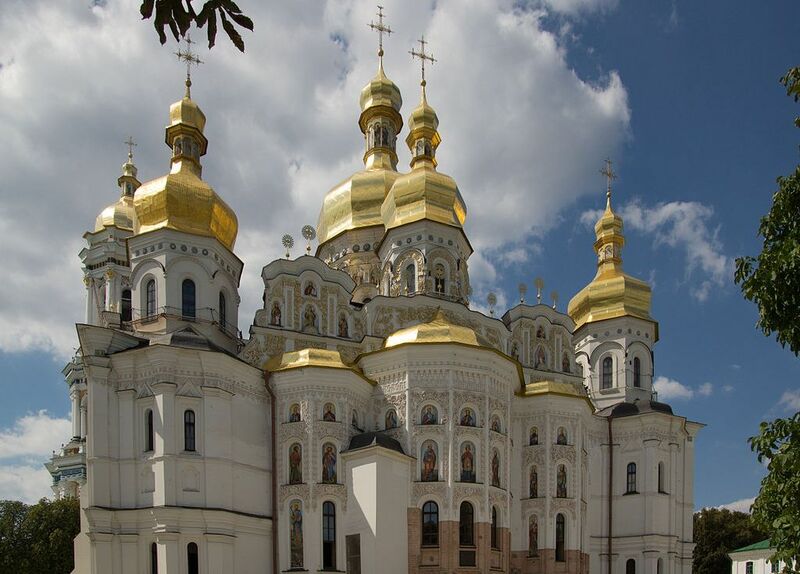 Ukraine has inched close to achieving independence for its church. It may seem strange to some, but unfortunately by the fifth year of the war, a significant part of the Orthodox Christians in Ukraine remain under Moscow’s control. How do these matters of spirit influence the security of the region, and how does that reflect on international relations? Despite the de facto state of war between Ukraine and Russia, the two countries maintain relations and communication. This is facilitated not only by contacts on the mundane level, Ukrainian bilingualism and Kiev’s long history of being a part of the same cultural space as Moscow, but also by the work of institutions represented in both countries. One of these is the Russian Orthodox Church (ROC). The church remained almost untouched by the collapse of the USSR, and (with a few exceptions) maintained its structure in the former Soviet territories. Naturally, positions on the empire’s periphery were somewhat lost during the Perestroika and post-Soviet transition, but the loss was not critical. Already by the mid-2000s, ROC had gathered strength and grew into a large network, active not only in CIS but also Europe and the US. In recent years, ROC has been talked about as one of the Kremlin’s foreign policy instruments. Indeed, as it has infrastructure outside the borders of the Russian Federation, the heads of the church have tried to present themselves in a favourable light for the Russian government. Naturally, this was done in order to receive state financing, help with lobbying of church initiatives, transferring property and land allocation. What could be the use of ROC for the Kremlin abroad? First and foremost, it is a network of religious communities. In financing campaigns to destabilise the situation in East and South Ukraine in the spring of 2014, the Kremlin believed that all oblasts from Kharkov to Odessa would fall under Moscow. ROC played a significant role in creating that illusion. The church had, for a long time, been claiming that everything was “under control” and there were “units with teams ready to fight” abroad, as ROC Archbishop of Lvov pointed out. As it was shown later, there indeed were some people among the Moscow Patriarchate that went to Ukraine to fight against Ukraine. It is meaningful that for these people, going to war against their own country was nothing unnatural, which bears witness to certain sentiments in ROC circles. Secondly, ROC provides an opportunity to conduct intelligence work under the cover of the church, collect information and influence decision-making. A special cooperation agreement has been signed between the Church and Russia’s Ministry of Foreign Affairs. ROC often works abroad hand in hand with Russian diplomats. One of such examples is the cathedral of the Moscow Patriarchate in Paris. After ROC was denied land, Russia’s Ministry of Foreign Affairs purchased the plot and had the church constructed on it. As the church is located on the territory of the Russian Embassy, diplomatic immunity also extends to it. Analysts believe that the specific architectural ensemble of the church will be used to gather intelligence. The church is directly across the Palais de l’Alma, which houses the President of France. Even if diplomatic status is removed from it, any inspection can be shown as religious persecution in the media. ROC and the Ministry of Foreign Affairs work in similarly close contact in many countries. Where Russian diplomacy is powerless, the Russian Church comes into play. For example, in 2016, before the Netherlands were about to hold the Ukraine–European Union Association Agreement referendum, representatives of ROC (both from Russia and Ukraine) arrived in the state and conducted a misinformation campaign against Kiev, the main message being that association should not be supported, as there was religious persecution in Ukraine. ROC attempted to oppose the Euro-Atlantic alliance in post-Soviet countries as well. 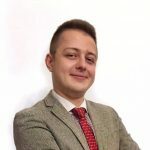 A telling example is the published correspondence between Cyril Frolov (employee of the Institute of CIS states) and the assistant of the current member of the State Duma Konstantin Zatulov. The bin of his mailbox contained an entire correspondence titled “UOC MP is perfect for mass anti-NATO propaganda” (UOC MP stands for the Ukrainian Orthodox Church (Moscow Patriarchate) and is the name of the ROC structures in Ukraine). ROC does not limit itself to activity on the international stage; it is also actively involved in the internal matters of post-Soviet countries. For example, most ROC regional offices in Ukraine had connections with either private militias or separatist elements. One of the church’s bishops (Longin Zhar) even sabotaged mobilisation to the army deep behind the lines in West Ukraine. He called upon the faithful to avoid conscription, for parents to hide their children, critiqued Ukraine’s leaders for starting the war in the Donbass region, cursed the state heads and called their rule satanic—in other words, essentially undermined the state’s defence capability. Naturally, not a word was said against Russia. Fuelling ethnic conflicts deserves a special mention. The same Longin Zhar, who resides in an area close to Ukraine’s borders, holds public speeches in Romanian. He actively agitates the Romanian-speaking population against the state, creating hotbeds of tension on the grounds of national relations. Similar activity took place in the Zakarpattia Oblast. A criminal case was even opened against a local influential member of the clergy, accusing him of separatism. It is worthy of notice that his funding came from the foundation Русский мир, which was then headed by Vyacheslav Nikonov—the grandson of People’s Commissar of the USSR Molotov, the same person that signed the pact about dividing Europe with Ribbentrop, Minister of Foreign Affairs of the Third Reich. However, the direct involvement of ROC representatives in the actions of such terrorist organisations as DNR or LNR is just one of the examples of the influence of propaganda that is spread through the channels of the church’s connections. Before the events of 2014, ROC exercised soft power. It furthered its own narratives, cleverly hiding political ideas behind ecclesiastical vocabulary. One of these was promoting the idea of an unbreakable bond between Ukraine, Russia and Belarus. “Like the Holy Trinity cannot be separated, neither can Holy Russia. Ukraine, Russia, Belarus—together we are Holy Russia,” is a saying that was attributed to Saint Lavrenty of Cheringov. However, it turned out that this was a later addition to the saint’s life; it was not present in the original version. Russian editors simply attributed this saying to the saint. This way, the political idea was legitimised as the teachings of a saint, which carry a lot of weight among Orthodox Christians. Another interesting topic is the campaign for improving the procedure of registering citizens—the notorious tax numbers issue. ROC successfully fuelled protest spirit among its flock, insisting they renounce state-issued documents, claiming a true Orthodox Christian did not need them, and accepting them was a sin. In addition to directly turning trusting parishioners against the state, the faithful were occasionally told of the sins of the western world, the “electronic concentration camps” and other “horrors of the modern world”. This is how the mood was set for the population of Ukraine, Belarus and Moldova; at the same time, information concerning Russia was exclusively positive, it was said to be an Orthodox country, the last bastion of the conservative world and Christian values. Later this ideology was adopted by Vladimir Putin, when he was campaigning for a third term. Human rights were radically denounced by the Church. Such messages were published depending on the context. For example, in Ukraine, the issue of tax numbers was used to mobilise the religious population, mainly in the state’s western part, thereby conducting propaganda against the West and Euro-integration. In the Baltic States, where ROC is a religious minority, the church heads quickly became well-versed in the discourse of protecting their rights, and turned to international institutions with any, even domestic conflicts, on the grounds of discrimination and the persecution of religious freedom. It should be mentioned that in Russia, ROC renounces the principle of religious freedom, claiming that Russia is “a mono-confessional, Orthodox country, with religious minorities”. The church is de facto using a rights-based rhetoric when it’s a minority, and violates the rights of others as the dominant religious institution. For the sake of fairness it should be said that not every member of ROC is a Russian agent of influence. There are also people who joined it for religious convictions. There are plenty of those. Achieving the autocephaly of the Ukrainian Orthodox Church would significantly alter the situation. Without support from Moscow, the Church of Ukraine would achieve true independence and could actively react to challenges without having to look back at Big Brother. Let us take the example of the direct participation of ROC clergy in the war in Donbass. They were not prosecuted and no administrative measures were taken against them. This was due to the potential reaction of Moscow. An independent church will be able to call things as they are: a war is a war; annexation is annexation and occupation an occupation. And this will be right, as it is unnatural if an institution with the highest level of the people’s trust was unable to evaluate an aggressor’s actions. Ukrainian autocephaly will also become one of a kind in the world. The independence of the church of Kiev will create a domino effect that will demolish the “canon territory” (sphere of influence) of ROC. In near or medium perspective, the issue of the tomos will be in the spotlight in Minsk. Everything depends on how the political situation in Belarus will develop, and how long the country wishes to remain under Moscow’s control. ROC has one more weak spot in post-Soviet territories—Moldova. Moscow considers the state part of its religious territory, but there are other opinions on the other side of the Prut. Romanian Orthodox Church sees Moldova as its sphere of influence. Depending on the tactic Bucharest chooses, the result could be either an independent Church of Moldova, or the churches of Chisinau falling under Romanian jurisdiction. In this context, an even more pressing issue will be the Orthodox Church of Latvia, which is currently part of ROC. On the one side, according to the canon law, an independent state needs an independent church. On the other hand, the vast majority, if not all members of the Latvian Orthodox Church are Russians who probably would not want to split from ROC. Strategically, the emergence of an additional pro-Russian church in the world would not be desirable, given that each church has veto power on decisions made in the Orthodox Church. All the above mentioned processes will result in ROC losing its role as the single religious leader of the former USSR. This will inevitably lead to a change in the dialogue between the Russian Orthodox and Catholic Church. Given the conservative nature of church institutions, this process might last for a long time. In the interest of all regional players, all national episcopal conferences of the Roman Catholic Church should abet this process and adopt a distinct position in the matter of decreasing religious contacts between Moscow and Vatican. The situation in Russia might be of help. There are plenty of people opposing the dialogue with Western Christians, and accusations of filo-Catholicism (friendly relations with Catholics) can seriously ruin one’s reputation, as the example of Patriarch Cyril demonstrated. The foreign policy of the Russian Federation is aimed at isolationism, and its ideology is creating the image of a besieged fortress. As a part of Russian foreign policy, the Russian Orthodox Church is being pulled into a “black hole” of fundamentalism by the Kremlin. There is a risk that alongside ROC, its “canon territories” will be also driven into isolation. Ukrainian autocephaly will not only prevent this from happening in Ukraine, thereby giving it a chance to develop and be open to the world, but also present a window of opportunity to other churches which are allowed to have a future and form their own agenda. The latter is particularly important in the context of hybrid warfare Russia has launched against the Western countries and in which it exploits the Church. Without orientation towards Moscow, especially without its financial aid, church institutions will finally be able to work out a personal approach to geopolitical issues, historical topics, form their own memory policy, support national identity; be a subject, not an object in international relations.